Thanks to Michael’s hard work planting the greenhouse and garden this year, plus our friend Robert’s diligent watering while we were away in Europe, we now have some multi-coloured treasures to harvest. 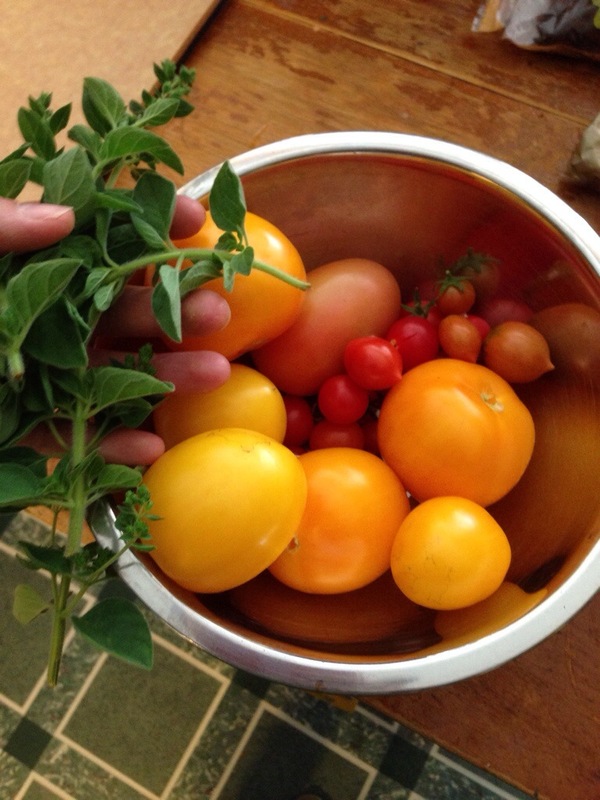 I can’t wait to turn the tomatoes and oregano into a salad. I think I’ll sprinkle on a few precious grains of the “Fleur de sel de Carmague” salt my Oma gave me years ago; I use it sparingly on my best dishes where the salt will shine and really boost the flavour of the dish. We drove through this region last week and I smiled in recognition.